Our Volunteers Are Superheros! Our 9th Annual Volunteer Appreciation Picnic had a fantastic Superhero theme. The event took place at Confederation Park. We received over $2,000 in community support through wonderful partnerships including Panago Pizza, Thrifty Foods and Save On Foods. Cupcakes at Oakridge Mall donated enough cupcakes for everyone to enjoy as well as fruit that was donated by Fresh Direct Produce! We were so lucky to receive such generous support from community partners. 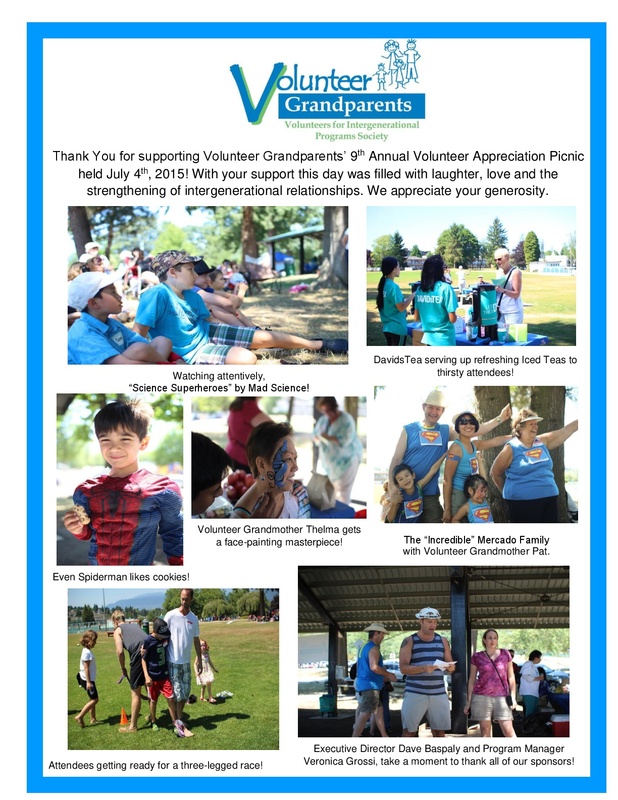 To see more pictures of our 9th Annual Volunteer Appreciation Picnic, click here to check out our Facebook album.